Welcome to Part 5 of our Beginner’s Guide series. Like an RPG, Warframe has a leveling system. However, this leveling system can be difficult to understand at first glance due to Warframe-specific mechanics and jargon. 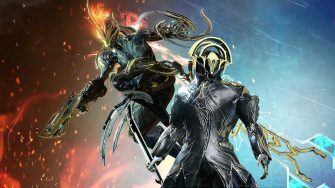 In this section of our Beginner’s Guide, we will cover all the basic information needed for understanding level progression in Warframe. Affinity is XP in Warframe: It serves the same purpose as experience points in a traditional RPG and the only difference is in name. What can be confusing is that at the end of each mission, you’ll be told how much XP you gained for each weapon, companion and Warframe currently equipped in your loadout. This XP shown on mission completion is Affinity. 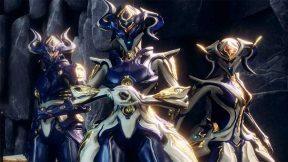 Why Digital Extremes has given two names for the same mechanic is beyond us and can be confusing to new players, but we won’t rant about that here! There are several rules that the game follows when it comes to assigning XP to your weapons, companions and Warframe. As you can note from the screen above, your weapons and Warframe can be awarded different XP amounts from the same mission. 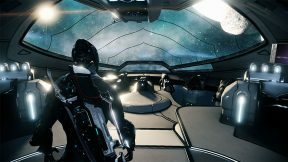 For now, you shouldn’t worry about memorizing all the different ways in which Affinity is split between your Warframe and weapons as you won’t be powerleveling at all for your first 20+ hours of gameplay. However, understanding the way Affinity is awarded to each equipped item in your loadout will become much more important later on. 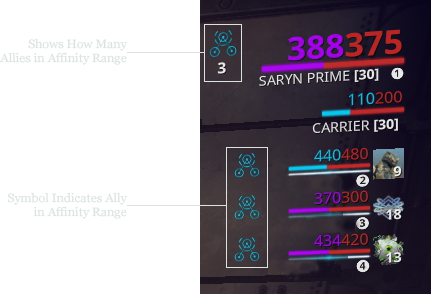 For the sake of completion, we’ll provide a few important ways in which Affinity is split between your Warframe and weapons. 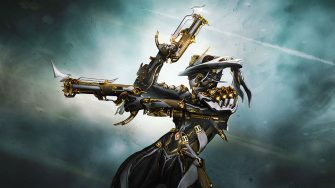 You should not spend time memorizing these rules, but instead use this guide as a reference if you wish to level a Warframe or weapon faster in the future. For the last rule, it’s worth noting that the 75% split will change depending on how many weapons you have equipped. 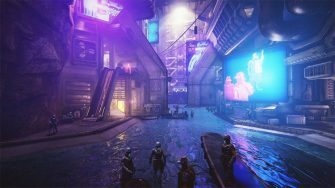 In most cases, you’ll have a primary, secondary and melee weapon which means each will receive 25% of Affinity from most actions that award affinity (75 / 3). However, if you were to only equip a primary weapon, for instance, that primary weapon would receive the full 75%. This can come in handy if you want to level one weapon or two weapons quickly. Warframe is a game that rewards players for playing with others. As listed above, one of the ways you can gain affinity is when an ally (another player) kills an enemy while they are within 50 meters of you. When this happens, you will BOTH receive the full amount of Affinity from that kill. Yes, you heard that correctly. There is zero penalty or splitting of Affinity between players. As long as you are within range, all players will receive the full amount of Affinity from enemy kills. Because of this, there are two major benefits of playing with other players. One is that as a team, you’ll be able to kill more enemies in a shorter span of time which awards more Affinity to everyone. 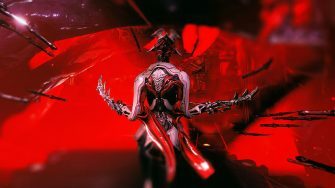 The second benefit is that when you are awarded Affinity from another player’s kill, it is split according to the 3rd rule listed above: 25% goes to your Warframe and 75% is evenly split among your weapons. In other words, allies can level your weapons faster than you can by yourself. The highest Affinity split you can ever get from killing an enemy with your weapon is 50% (rule #2 above). However, an ally’s kill will provide a 75% split to your weapons. Of course, this also means that allies can never level your Warframe as quickly as you can since the highest Affinity split an ally kill can provide your Warframe is 25%. Now that we’ve covered Affinity, you should understand how Warframes, weapons and companions are leveled as you progress through the game. Let’s introduce the main way that your entire account level is determined: Mastery Rank (abbreviated “MR”). 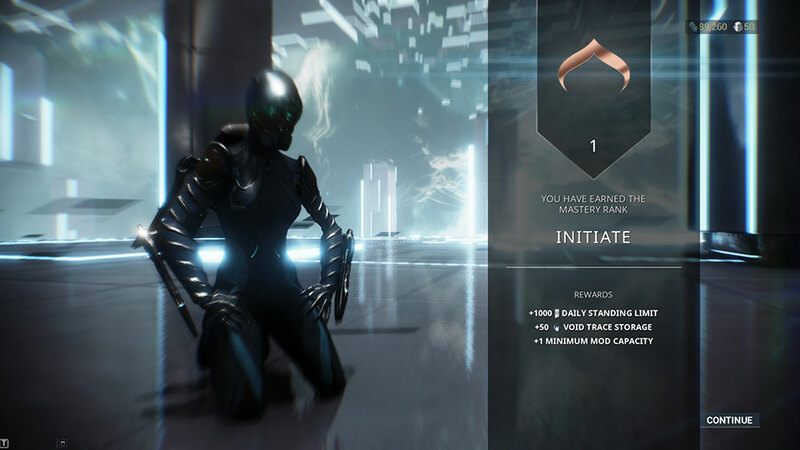 Mastery Rank is a reflection of how many different Warframes, weapons and companions you have leveled. Many people like to define Mastery Rank as a measurement of “how much of the game you have experienced” since the only way to increase it is to continually level new items and explore new content. – Every level gained on a Warframe, Companion and Archwing will award 200 Mastery XP. Hence, leveling a new Warframe to 30 will provide 6,000 Mastery XP. – Every level gained on any weapon (primary, secondary, melee, sentinel or archwing) will award 100 Mastery XP. Hence, leveling a new weapon to 30 will provide 3,000 Mastery XP. 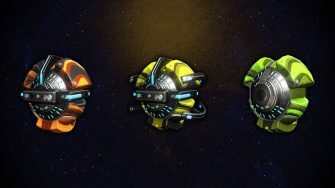 – Completing Junctions (discussed in Part 7) for the first time will award 1,000 Mastery XP. It’s important to note that you can only gain Mastery XP for any item or event once. For example, after you reach Rank 30 with Excalibur for the first time and obtain 6,000 Mastery XP, you cannot craft a second Excalibur and level it up to Rank 30 to get another 6,000 Mastery XP. This is why the only way to level Mastery Rank is constantly explore new content and level new equipment. One game-specific term that’s worth mentioning is “MR fodder,” or the concept that some equipment in the game is useless except for the purpose of providing Mastery XP. The MK1 weapons you obtain from the tutorial are examples of this as they are strictly weaker versions of the same weapon they are named after. For instance, the MK1-Braton is a weaker version of the Braton and there is no reason to use it over the Braton except for obtaining Mastery XP. You shouldn’t focus too much on memorizing these benefits since only the first one will make sense if you’re just starting the game. All you need to know right now is that increasing your Mastery Rank is worth it and you should put some effort into doing so. The current maximum achievable MR is 26, but all game content is unlocked after MR 16. At a minimum, you should aim to get an MR of 5 or higher so you can access the full Star Chart. We’ve left out one crucial detail so far when it comes to Mastery Rank: Tests. Whenever you reach the Mastery XP required to reach the next Mastery Rank, you won’t automatically rank up. Instead, you’ll be given permission to take a Mastery Rank test which you can access in the game’s escape menu. Only after passing this test will your MR increase. The kicker? You can only take this test once every 24 hours, so failure can be time-consuming. Fortunately, most MR tests are easy and you can find guides for every single one of the tests on the Warframe wikia. It’s worth noting that any Mastery XP you receive after reaching the requirement for the next rank, but before you take the test, is remembered so you don’t have to worry about wasted XP. Lastly, it’s only possible to take one Mastery Rank test per day meaning if you succeed on one test and then reach the required XP to increase your rank yet again, you’ll have to wait until 24 hours have passed since your last test. The game will tell you how long you need to wait. This can put a bit of a damper on increasing your Mastery Rank in the early-game so make sure you take your MR tests as soon as possible.